Altrec.com is an outdoors company based in Oregon that sells clothing and accessories from some of the top outdoors brands for men, women, and children. No matter which outdoor activity is your family’s favorite - whether it’s skiing, paddleboarding, or yoga - there’s something at Altrec.com for you. With Big Apple Buddy’s personal shopping service, you can now buy direct from the Altrec online store anytime, anywhere. Altrec offers clothing and accessories from some of the world’s best brands for the outdoors, including Columbia, Adidas, Mountain Hard Wear, and Nike. For those of you who like to snowboard, there is plenty of gear at Altrec to get you ready for the slopes. Oakley’s Expedition Down Snowboard Jacket for men is a jacket that will protect you throughout even the most extreme conditions. 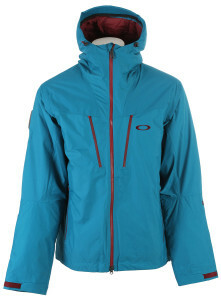 The jacket’s high level of insulation will keep you warm no matter how cold the mountain may be, and the bright aurora blue color will ensure you’re always easy to spot on the slopes. Altrec has a variety of clothing for women as well, including activewear for pretty much any activity and casual, everyday clothing as well. 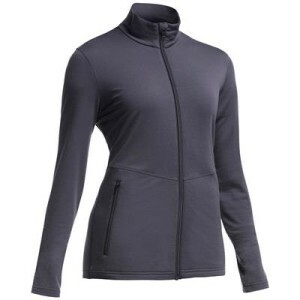 The Women’s Victory Long Sleeve Zip is the perfect jacket for all your morning exercise this summer. This lightweight layer is slim-fitting, soft, and odor free. The jacket’s high fit collar makes it a great insulating piece, whether you’re going for a morning jog, rocking up to a yoga class, or simply wearing it as an extra layer. Unfortunately, the Altrec.com online store does not currently offer international shipping. However, Big Apple Buddy, your personal shopper, can help you buy products direct from the official USA Altrec online store and ship them to your doorstep, no matter where you are in the world. We offer international shipping to over 220 countries including Australia, South Africa, the UK, Germany, Portugal, France, Italy, Pakistan, Switzerland, Slovenia, Slovakia, Spain, Singapore, Thailand, Malta, Brunei, the UAE, Indonesia, Malaysia, Philippines, Macau, Croatia, Estonia, New Zealand, Hong Kong, Kuwait, Kenya, Japan, South Korea, Sri Lanka andTaiwan. If you would like to buy from the USA Altrec online store, simply let us know which items you would like to order (by filling out the form on the right) and we’ll get back to you with a free international shipping quote within 24 hours!